As I have mentioned, I have really been slacking on the couponing front. After being out of town for a week I had not gone through last Sunday's paper or even looked at the drugstore ads for the upcoming (past) week. When we got home Friday afternoon I was going through the mail and past papers and I was about to throw the CVS flyer from last Sunday's paper in the trash when something jumped out at me. DIET COKE! Diet Coke is one of my weaknesses.We joke that during hurricane season I may not have a large supply of candles or batteries but I definitely have at least 5 twelve packs of Diet Coke on hand at all times. You can never be too prepared right? 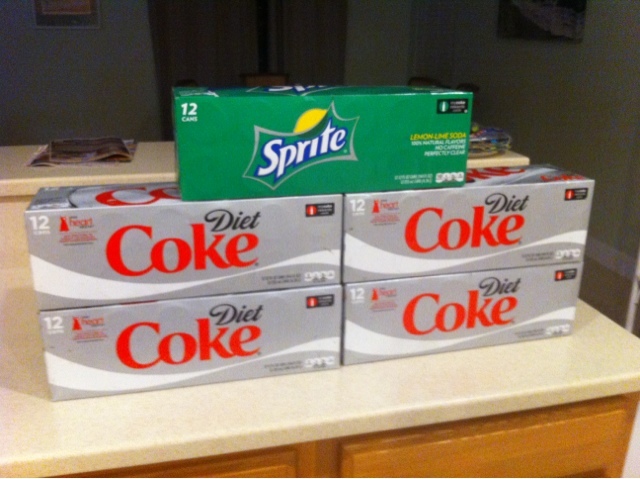 So when I saw the deal CVS was running on Coke products I knew I would make time to swing by CVS before the sale ended. 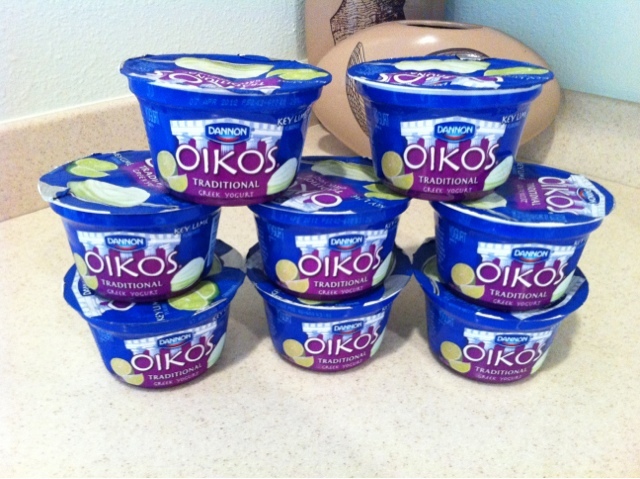 Saved 75% on my favorite yogurt at Walmart! I also decided to brave Walmart this Saturday for my favorite yogurt. I love Dannon Okios yogurt, specifically the Key Lime flavor. However, none of my Publixs or Targets sell it. Only Walmart. And I dread going to Walmart. Forget the fact that it isn't the cleanest or the most well organized store; what really gets me is how difficult it is to use coupons there. Nothing crazy but those two little trips made me one happy couponer.